Note: *Pressure rating at atmospheric temperature: sizes 4-12 in. inclusive, 175 psi; sizes larger than 12 in., 150 psi. 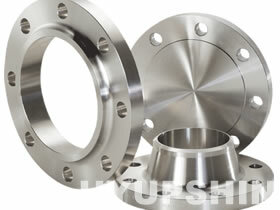 These flanges have the same OD and drilling as ANSI/ASME B16.1 class 125 cast-iron flanges. In sizes 24in. and smaller, they also match ANSI/ASME B16.5 150-psi standard for steel flanges.